YORBA LINDA, CA (ANS – May 16, 2017) — Award-winning author, Pamela Christian, released the third volume in her Faith to Live By series, on Monday, May 15, 2017. To celebrate, Christian is sponsoring an online review party with a $50.00 gift card awarded to the winner of a random drawing. 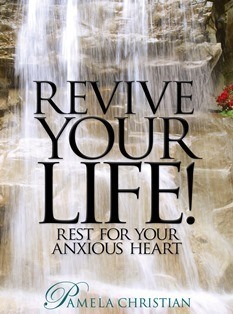 Revive Your Life! Rest for Your Anxious Heart, is the third volume in the series. The first two, Examine Your Faith! Finding Truth in a World of Lies and Renew Your Hope! Remedy for Personal Breakthroughs, have won multiple awards and have excellent reviews from readers posted on Amazon. Christian shared, “I’m exceedingly grateful for the reception from my readers and amazed by the endorsements.” And well she should be amazed. 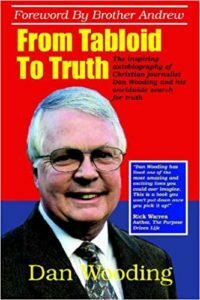 Like the first two, this third book is endorsed by some impressive Christian leaders: Dr. Richard Land (President, Southern Evangelical Seminary, Charlotte, North Carolina); Dr. James Goll (Founder of God Encounters Ministries, international speaker, bestselling author) and; Bill Johnson (Senior Leader of Bethel Church in Redding California, bestselling author.) If the lineup of endorsers seems odd there’s good reason. Those interested in obtaining an advance copy of the book are invited to do so at http://gvwy.io/mglwmvm , the Giveaway section of Christian’s book writing journey Facebook page. Those who also post a review of the book on Amazon, Barnes & Nobel, iBooks, and Kobo (same review all places) are automatically entered into the drawing for the $50.00 gift card to shop on Christian’s web store where she offers many products other than her own books. Pamela Christian is an author, speaker and media personality, hosting both radio and television. 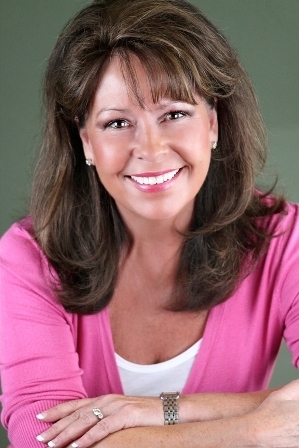 Learn more about Christian and the full scope of her ministry at www.pamelachristianministries.com. She and her husband live in Yorba Linda, CA with their two grown children and families living nearby. Photo captions: 1) Cover of Pamela Christian’s new book. 2) Dr. Richard Land. 3) Pamela Christian. * You may republish this or any of our ANS stories with attribution to the ASSIST News Service (www.assistnews.net). Please also tell your friends and colleagues that they can receive a complimentary subscription to our news service by going to the above ANS website and signing up there.